The fine folks over at Perfect BBQ Tek recently asked me try our their new chimney cap on my Big Green Egg and I was happy to oblige. The cap, which fits a variety of kamado-style cookers, is designed to keep rain and/or snow out while working with the existing top vent controller. With the Big Green Egg, the chimney cap goes on first and then the dual-function daisy wheel top goes on top of that to hold it down. When I first opened the box, I thought someone had sent me a mailbox. The cap really isn’t much more than that – just a simple u-shaped aluminum box that is open at both ends. It’s wide and tall enough to get at the daisy wheel controls, but deep enough keep any stray precipitation out of the Egg. It looks to me that if it got any worse than that, I’d be manning the sump pumps or gathering animals two-by-two and barbecue would be the least of my worries. Aside from the simple-yet-practical design, I also really liked that the cap didn’t change how the draft/temperature controls worked on the Egg. I could set up my bottom vent and daisy wheel opening just like I would if the cap weren’t there. 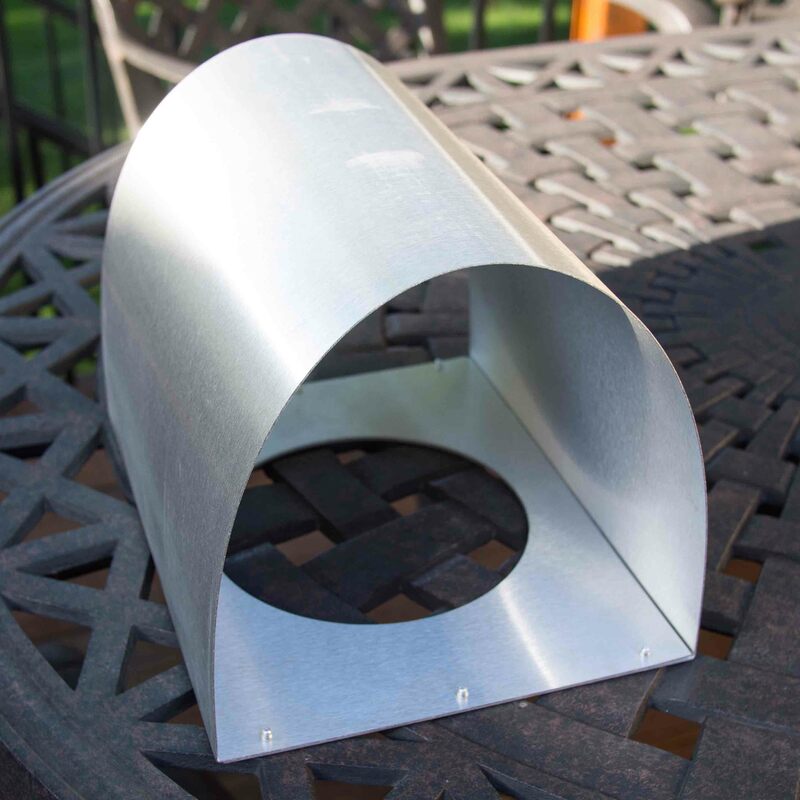 All-in-all, the Perfect BBQ Tek Chimney Cap looks to be a great solution to keep stormy weather from ruining your cookout.